American companies have been deteriorating with the passage of the years in different social spheres; including the family has been one of the important topics of national discussion. The family relationship is one of the important features to note especially communication between parents and children, that are the weakest link of the American family, especially if the divorce has occurred between their parents, so it is necessary care and attention not only from their parents but both grandparents and family circle to be developed. Thats the reason the visitation rights in the United States has undergone major changes favoring family communication within the society they live and they created new child visitation laws for the benefit of grandparent visitation, stepfather and stepmother and the whole family of the child. The third visitation is also known as the right to family communication with the child. The visitor is given meaning from the communication between family members, facilitating the development of stable and healthy growth of the child, because visits can be interpreted under the term accountability, collaboration, integrity, education, supervision and especially love by which every human being must travel since childhood. Grandparents play an important role in the lives and education of children, it is essential that grandparents have rights to visit their grandchildren. When the custodial parent disagrees with the visit, the grandparent may file a petition with the court that shows that it may be responsible for the child and may even get third party custody rights if the father shows that he cannot to care and support the child, because the most important is the benefit of children. Grandparents rights can offer gifts and emotional affects to grandchildren and other family members may also attend visits them. The mother and father are living in different houses. One parent is missing or lives out of state and no signs of life. When the parent agrees that Grandpa visit his son. When the child is living outside the home of his real parents. When the new husband of the mother adopted the child. When the parent with child custody strongly oppose grandparent visitation. When one or both parents died or they are serving a criminal sentence. The grandparents visitation process is usually a little complicated, you need to bring the case to court with the help of a family lawyer, and sometimes there is a case open regarding the family between parents process either by divorce, or application for permanent custody or parental responsibility, or child support calculator or just need to open a new grandfather case demanding the right to visit or get grandchildren custody. Corresponding to the visits of children depend on the state laws in particular that the case unfolds, for some states the grandparent visitation is a violation of Federal and State laws, but the laws established by the Supreme Court in the state of Florida specifies that grandparents have visitation rights if it is in the best interest of the children, if these parents divorced, if it has been abandoned by both parents or one of them, if a parent has committed a criminal offense that impossible in the care of children. The law further provides that the grandparent visitation does not necessarily have to be supervised by a third person and which can be developed at home often own grandparents. The judge in correspondence with all the information presented determines which the best situation for the children is and if the grandparent is able to demonstrate that the grandchildren will have a good future life then they grant the desired case. The families of the state department is responsible for developing and monitoring its child visits and if it determines that the grandparent visitation are not being productive for children then you can take away the right of visitation. Family Lawyers in Miami, Florida play an important target in the process of third party visitation Miami. The family attorneys will help make the whole process to get the desired visited to the children. It is important to work from began with a family lawyer since they know the laws about family and how difficult it can be the case in court. The attorneys know how to represent the rights of grandparents, step-parents, uncles on the respective visits to children and they can guide in your case. Gallardo Law Firm have been defending the rights of many clients who have chosen us to represent them. Our legal team is comprised of qualified, dedicated attorneys, with high ethical standards in the profession of lawyers to ensure that you receive the care and guidance in the legal case. Visitation rights for many people can be a difficult and complex case if a parent disagrees with the third party visitation, but Gallardo will find the answers to your particular case. We also have a legal representation online on the website. Our family lawyers in Miami have a professional knowledge, since they are licensed law-abiding family in the State. Gallardo Law Firm is a priority help in obtaining visitation rights of children. Why is the important to the third party visitation rights? Third party visitation plays an important role in the life and development of children, because they need affection that the grandparents give them. Grandparents help the children to overcome the pain caused by the loss of one of his parents after a divorce, as this can always be traumatic for young children. Also grandparents help in the physical and psychological growth of children. If I need a lawyer for visitation rights of children case, where can I go? Gallardo Law Firm Miami offers assistance in the legal field if required. Go to our office and we will help in the development of the whole process. 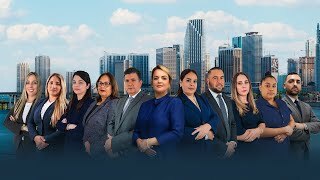 How much cost a family lawyer in Miami? The fees depend on the case. Many law firms have fixed rates, regardless of the cause. What will happen if the visits are unfulfilled orders? Orders of visits to children are taught by a judge in court so they have to be fulfilled, but can be accused of insulting the person who fails and can get some sentence of a fine or imprisonment, only the judge is authorized to modify the visitation rights of children. If for some reason the modification of visitation of children will need to ask the judge with the help of a lawyer desired changes. Can non-custodial parents visiting children through visitation rights assigned to the grandfather? Parents are not entitled to visitation of the children cannot use the grandparents to interact with children, this would be considered contempt of the law and this is the reasons to deny visitation to grandparents. Grandparents always entitled to visits from grandchildren? No, the judge first evaluated if the rights of third parties act on the best interests of the children and if the grandparents may or may not be entitled to visits them and can sometimes be the case given custodial parents of children who do not agree with visits, the judge does not allow the right of grandparent visitation. What are the supervised visitation reasons for children? How does supervised visitation work ? The reasons to get supervised visitation is when the custodial parent is not sure that the child is safe with the other parent during visits. In this case, you can assign a third person known to the family, where both parents and children feel comfortable with this individual during the visit. In the case of domestic violence where parents have serious communication problems is a good practice to use a supervised child visitation as intermediary between the two, if it is in the benefit of children. Another case may be where the department of family assigned attorney supervised visitation to supervised visitation grandparents to ensure the benefit of children, otherwise you can remove the right of visitation to grandparents.